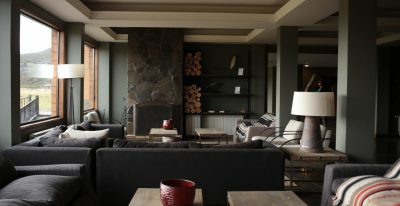 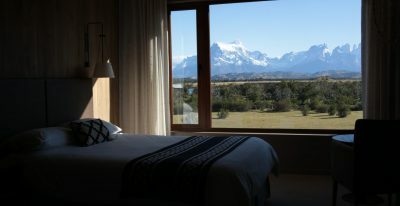 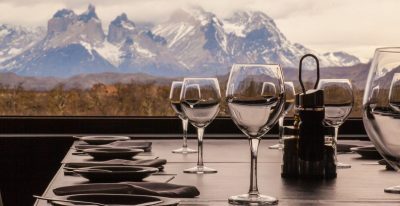 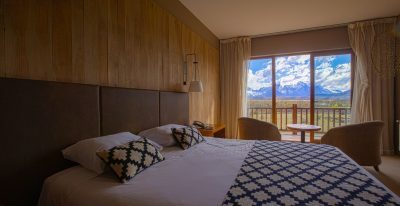 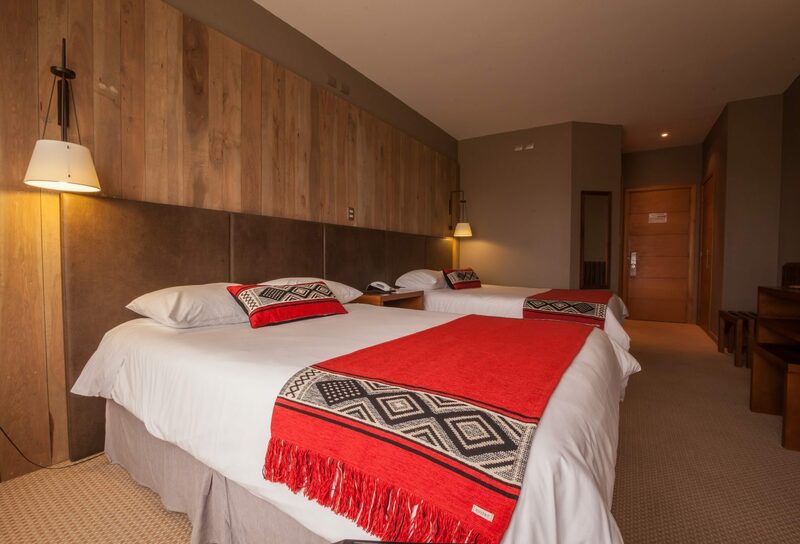 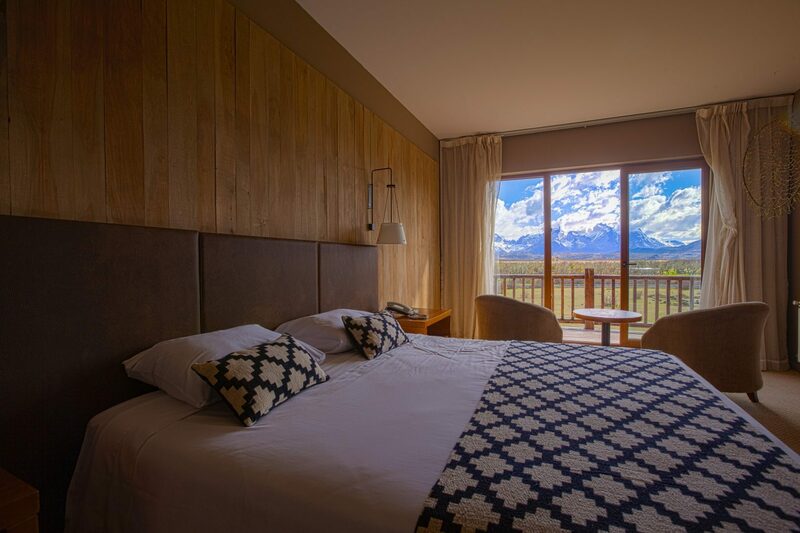 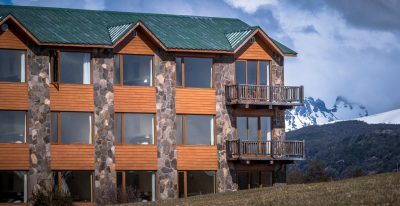 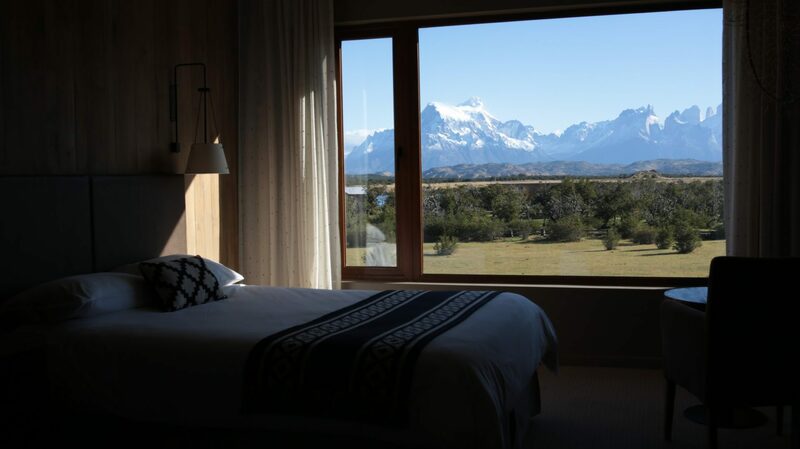 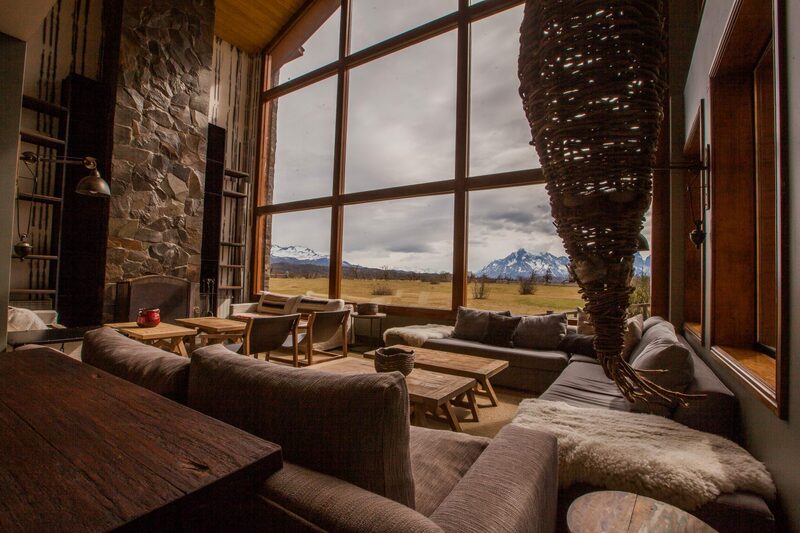 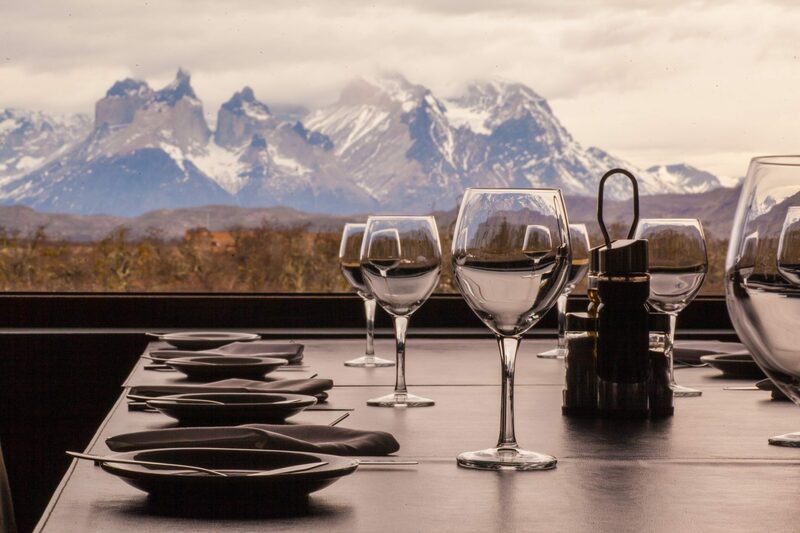 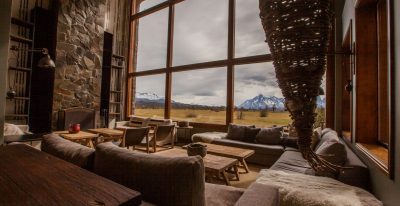 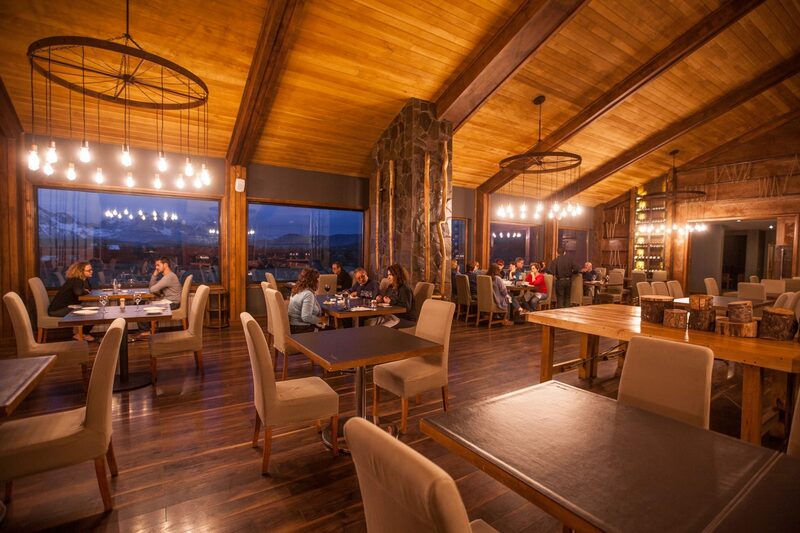 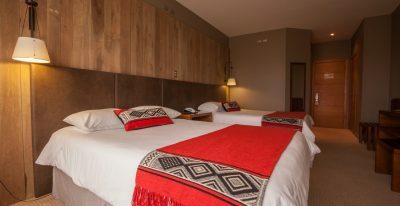 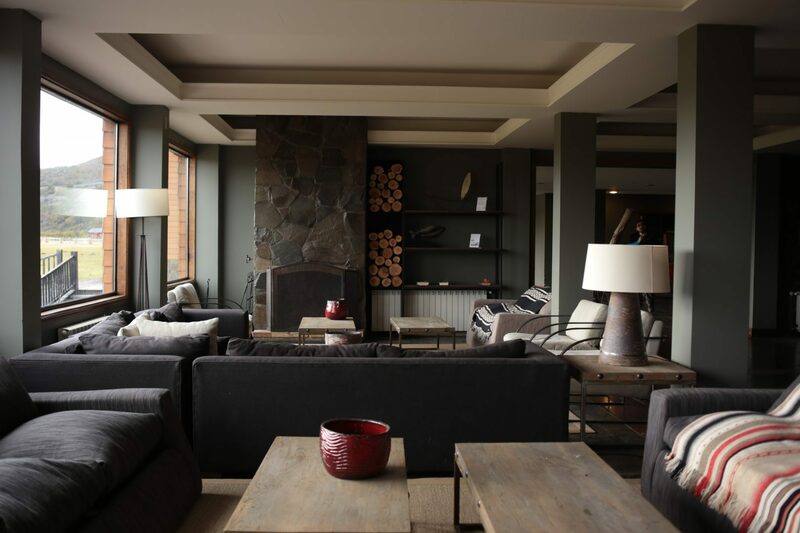 Located at the entrance of Torres del Paine National Park, the Hotel Rio Serrano is large but cozy, combining modern comforts with rustic décor that emphasizes wood and stone. 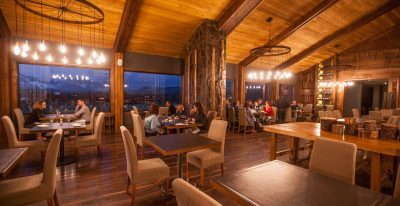 The hotel offers a bar with snack menu, a restaurant featuring local specialties in addition to international dishes, and spectacular views on all sides. 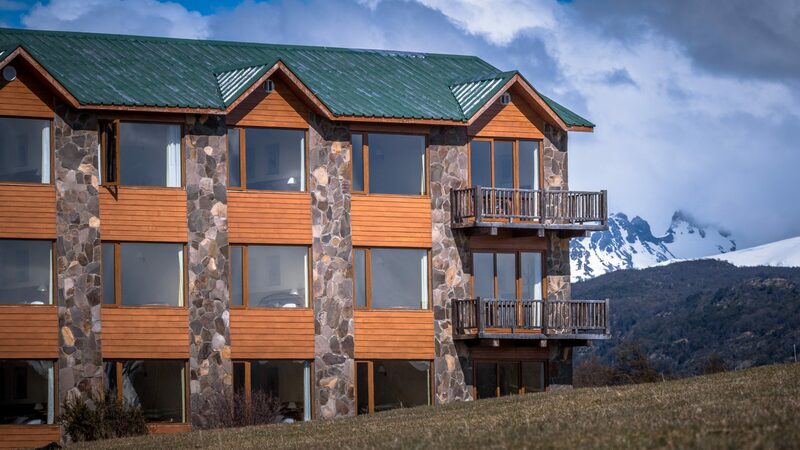 The hotel can arrange numerous excursions into the park, and activities include trekking, horseback riding, fishing, vehicle tours, and boating.